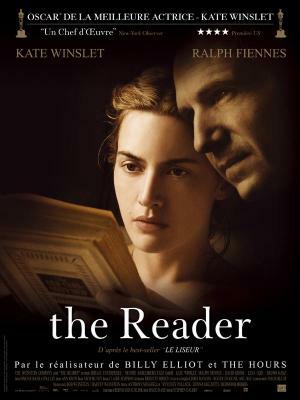 Movies Like The Reader (2008) '+g+"
The Reader is a 2008 movie based on Bernhard Schlink's best-selling novel of the same name. The movie follows 15-year-old Michael Berg's (David Kross) relationship to a 36-year-old Hanna (Kate Winslet) and the way it becomes complex when he re-encounters her about a decade later defending herself against Nazi war-crimes. If you like these hot teen movies like The Reader then find the recommendations for it below and don't forget to mention if we miss any as we keep on updating this list. Revolutionary Road is a 2008 movie directed by Sam Mendes based on the novel by Richard Yates with the same name. Set in early 1950s the story follows a young Connecticut couples struggle saving their once-idealistic relationship while trying to raise their children. Doubt is a 2008 drama directed by Shanley based on John Patrick Shanley's stage play Doubt: A Parable. The story follows a Catholic school principal (Meryl Streep) who confronts a priest (Philip Seymour Hoffman) she believes is abusing a troubled black student. Elegy is a 2008 drama directed by Isabel Coixet based on Philip Roth's novel The Dying Animal. 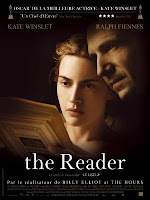 The story David Kepesh (Ben Kingsley) a highly respected professor's relationship with Consuela Castillo (Penélope Cruz) a beautiful and confident student. Malena is a 2000 Italian romantic drama directed by Giuseppe Tornatore. The story follows an young and beautiful war widow Malèna (Monica Bellucci) whose beauty become an obsession to every men in the town included a 13-year-old love struck Renato (Giuseppe Sulfaro) who follows her around town. Dreaming About You (1992),...if you can think of more then don't forget to mention it in comments.